------ AS SOON AS WE TAKE DOWN ONE GROUP OF CRIMINALS, INITIATED AND SUPPORTED BY THE WORLD BANK AND THE UN; WITH THE TRUTH AND LOTS OF INCRIMINATING HARD EVIDENCE OF A DOCUMENTARY NATURE, THE WORLD BANK AND UN COME UP WITH, ONCE AGAIN, ANOTHER GROUP OF CRIMINALS TO CONTINUE TO STEAL THE ASSETS AND ACCOUNTS OF THE GLOBAL DEBT FACILITY. It's in their blood and part of their DNA, so this sort of criminal action is fully expected, and it won't stop until all of these people are incarcerated and the organisations totally eliminated. 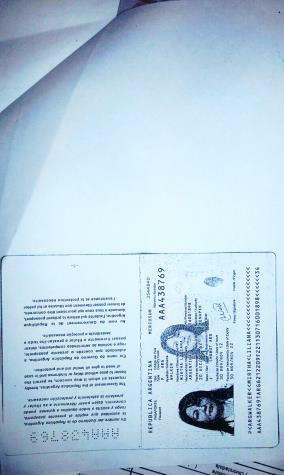 PROOF OF LIFE ANNEXES IN THE BODY OF THE FILE. 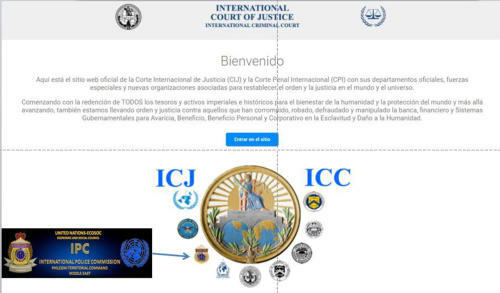 The International Court of Justice (ICJ) and the International Criminal Court (ICC) with their official departments, Special Forces and new partner organizations to restore order and justice in the world and the universe. Beginning with the redemption of ALL imperial and historical treasures and assets for the welfare of humanity and the protection of the world and advancing further, also bringing order and justice against those who have corrupted, robbed, defrauded and manipulated banking, financial and Government Systems for Avarice, Benefit, Personal and Corporate Benefit in Slavery and Damage to Humanity. 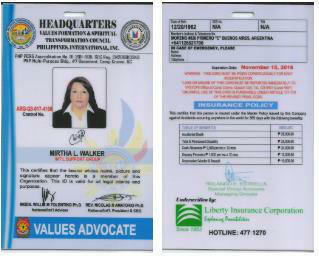 In order to expedite a rapid understanding and complete the identification guidelines of the Trustees of Filipino Origin assigned by Name of the Custodian bequeathed by the Will of Ferdinand Marcos to: H.M. ANTHONY SANTIAGO MARTIN, and assignment by the Filipino Trustees to Mirtha Liliana Walker with the ability to manage commercial relationships between the undersigned, Mirtha Liliana Walker as AUTHORIZED by ASBLP Group of Companies and by Bank of ASBLP for VERIFICATION, RECOVERY, ADMINISTRATION AND PROVISION OF FUNDS IN THE ASBLP ACCOUNTS of the existing trust accounts in different banks; various countries, with the mission of requiring the banking institutions and / or financial entities of the States of the Accounts; State of the funds, accounts balances and / or assets in your state associated with the membership accounts of ASBLP Group of Companies and Bank of ASBLP / ANTHONY SANTIAGO MARTIN, registered under the name of "White Spiritual Boy" bank accounts; and Accounts Name "Spiritual Wonder Boy". Issued by the United Nations Organization. Due date: December 10, 2017. 4) SPECIAL POWER OF ATTORNEY by HM. 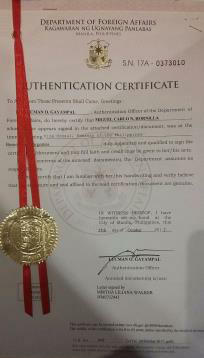 ANTHONY SANTIAGO MARTIN to Mr. Antero De Leon Bausas and MS. CORDULA A. TUBALLAS SIGNED BY ANTHONY SANTIAGO MARTIN. 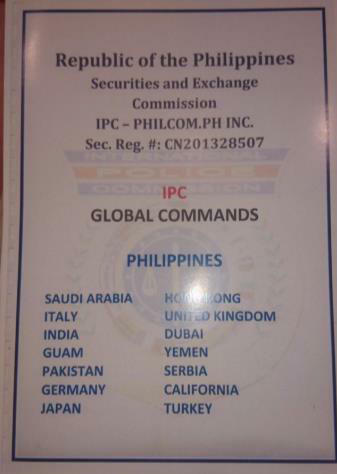 10) CERTIFICATE OF REGISTRY "THE NEW YORK STOCK EXCHANGE" - REGISTRY CERTIFICATE OF THE NEW YORK STOCK EXCHANGE"
11) CERTIFICATE OR REGISTRY OF THE COMMITTEE OF 300 THE WORLD FEDERATION EXCHANGES, FRANCE. 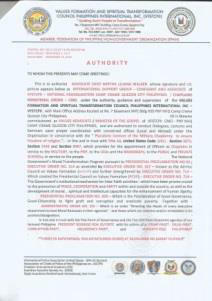 CERTIFICATE OF REGISTRATION OF THE UN AND COMMITTEE OF 300 EXCHANGES OF THE WORLD FEDERATION FRANCE. 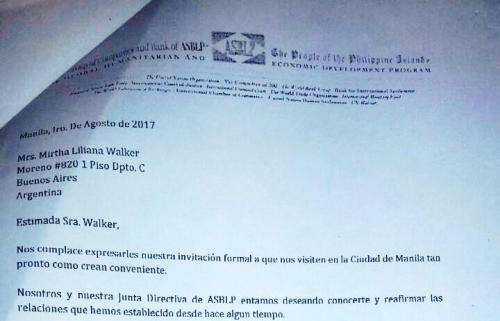 12) AUTHORIZATION ISSUED TO MIRTHA LILIANA WALKER BY ASBLP, ON OCTOBER 13TH, 2016 AND SEALED BY THE WORLD BANK OFFICE MANILA ON OCTOBER 20TH, 2016 AT 5:31 PM. 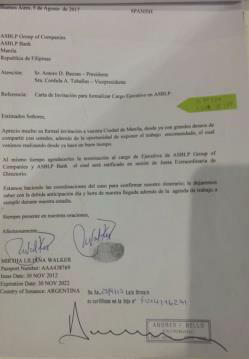 FOR VERIFICATION OF ACCOUNTS AND FUNDS OF ASBLP IN BANKS OF THE ARGENTINE REPUBLIC, ACCORDING TO THE BALANCE PRESENTED AT THE WORLD BANK, MANILA. 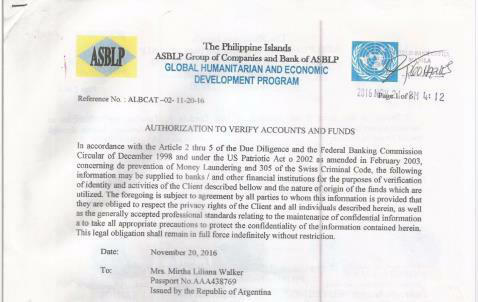 13) AUTHORIZATION ISSUED TO MIRTHA LILIANA WALKER BY ASBLP, ON NOVEMBER 20TH, 2016 AND SEALED BY WORLD BANK OFFICE MANILA ON NOVEMBER 21ST, 2016 AT 4:12 PM. 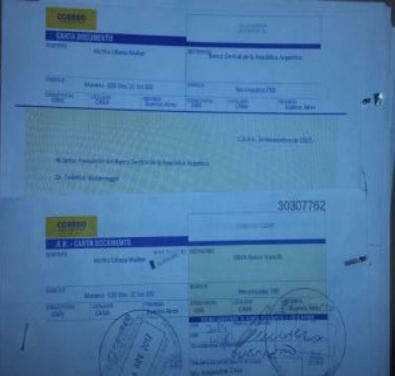 TO VERIFY ASBLP ACCOUNTS AND FUNDS IN THE LBBW BANK IN GERMANY ACCORDING TO THE BALANCE PRESENTED AT THE WORLD BANK MANILA. 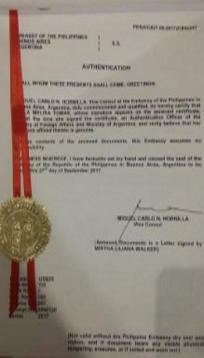 14) AUTHORIZATION ISSUED TO MIRTHA LILIANA WALKER BY ASBLP, ON NOVEMBER 22ND, 2016 AND SEALED BY WORDL BANK OFFICE MANILA ON NOVEMBER 28TH, 2016 AT 1:05 PM. 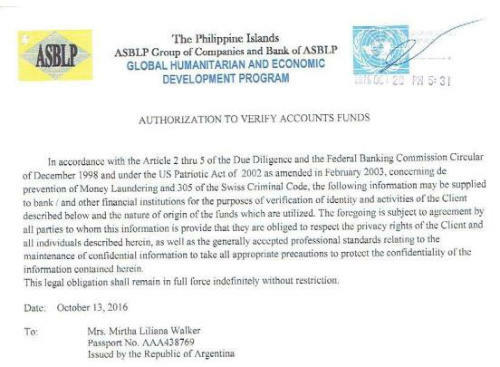 TO VERIFY ASBLP ACCOUNTS AND FUNDS AT THE BANKS IN THE REPUBLIC OF VENEZUELA ACCORDING TO THE BALANCE PRESENTED AT WORLD BANK, MANILA. 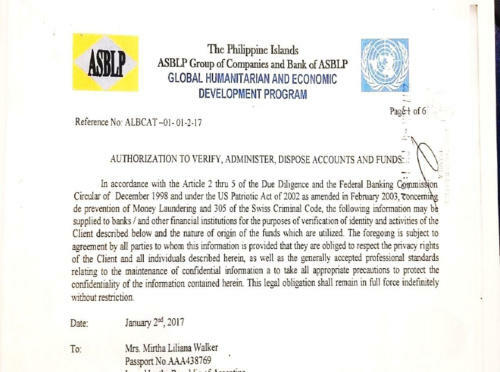 15) AUTHORIZATION ISSUED TO MIRTHA LILIANA WALKER BY ASBLP, ON JANUARY 2, 2017 AND SEALED BY WORLD BANK OFFICE, MANILA ON JANUARY 4, 2017 AT 1:53 PM. 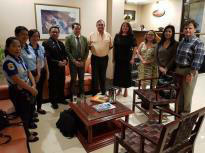 TO VERIFY, DISPOSE, AND MANAGE ASBLP ACCOUNTS AND FUNDS AT THE BANKS IN THE REPUBLIC OF BRAZIL ACCORDING TO THE BALANCE PRESENTED AT WORLD BANK, MANILA. 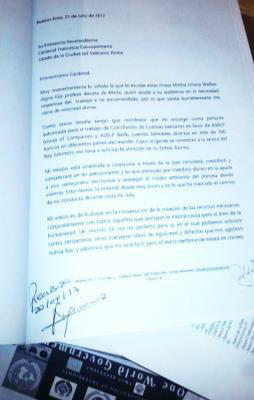 16) Mirtha Liliana Walker, sends an emissary informally to inform her "Your Holiness, Pope Francis." 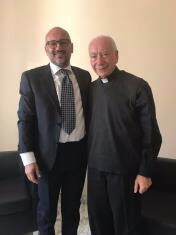 On July 21st, 2017, His Holiness informally appointed His Most Reverend Eminence, Cardinal Francesco Coccopalmerio to attend to and instruct the steps that he must take to On October 02nd, 2017, Mr. Aldo Sánchez, in Buenos Aires, at the address Suipacha 948, internal 612, 1008 CABA to verify my identity and instruct me on the steps to follow and to indicate that they were available in the accounts approximately 50 billion dollars, which I was offered to receive on my behalf, which I made the reservation that I should receive them on behalf of ASBLP as their administrator. 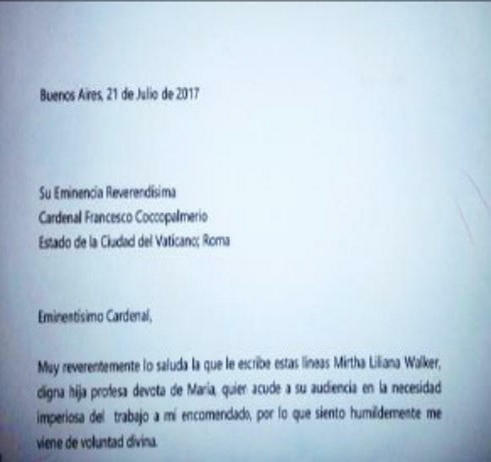 (Received at the Vatican Embassy in Argentina). 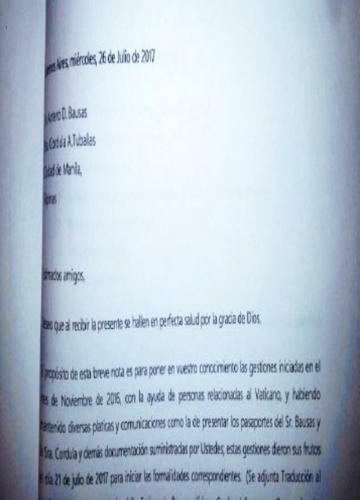 17) Mirtha Liliana Walker sends a letter to Mr. Antero de León Bausas and Mrs. Cordula A.Tuballas indicating the result of the negotiations with the Vatican. These requirements, instructed in the name of the Vatican, catapult ASBLP to issue the invitation to join as an official of the ASBLP Group of Companies and Bank of ASBLP. 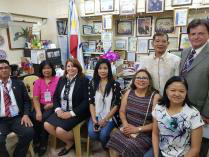 18) ASBLP ISSUES IN MANILA, ON 1ST AUGUST 2017 THE INVITATION TO MIRTHA LILIANA WALKER TO ASSUME THE ASBLP EXECUTIVE OFFICE. 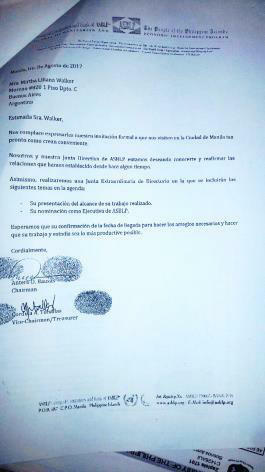 19) MIRTHA LILIANA WALKER ISSUES THE RESPONSE OF ACCEPTANCE TO ASSUME ASBLP'S EXECUTIVE OFFICE ON AUGUST 5, 2017, ENABLING APOSTILLE OF "THE HAGUE" TO ASBLP GROUP OF COMPANIES AND BANK OF ASBLP. UNDER THE FOLLOWING PROTOCOL OF LEGALIZATIONS: On August 3rd, 2017, I have the high Honor of receiving the invitation of ASBLP GROUP OF COMPANIES AND BANK OF ASBLP to assume the executive position of ASBLP, and on August 5th , 2017. 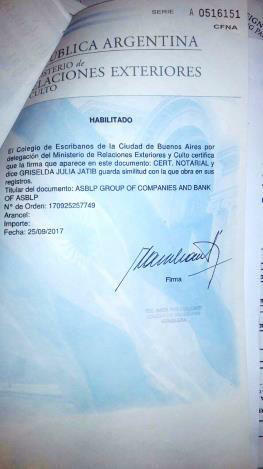 It documents the acceptance of the official position of ASBLP GROUP OF COMPANIES AND BANK OF ASBLP by Notary Public Argentina Under the Certified Foil number: F014116271, Under the Code of Legalization 170925 463632 / habilitation under the protocol of "THE HAGUE" 17095 257749, It is Protocoled in the Argentine Ministry of the Interior on September 26, 2017, it is registered by the Notary Public School of the city of Buenos Aires by delegation of the Ministry of Foreign Affairs and Worship as the Document Owner: ASBLP GROUP OF COMPANIES AND BANK OF ASBLP with the Order No. 170925257749: 09/25/2017, and re confirms the acceptance of the ASBLP OFFICE OF COMPANIES AND BANK OF ASBLP Official Position is enabled in the Direction General of Consular Affairs Coordination Unit Legalizations of the Ministry of Foreign Affairs and Worship with Order Number: 214368/2017; Date 09/27/2017. 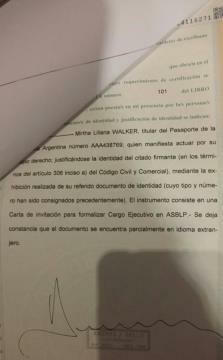 Authenticated by the Embassy of the Republic of the Philippines in Buenos Aires, Argentina Under the Character: PEBA / C # 27.09.2017D185S247, Annexed Document: Mirtha Liliana Walker, October 25th, 2017 Under the Code: S.N. 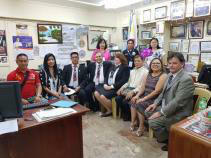 17ª - 0373010 of the DEPARTAMENT OF FOREIGN AFFAIRS - KAGAWARAN NG UGNAYANG PAN LABAS, MANILA PHILIPPINEES The Authentication Certificate is issued, as confirmation of acceptance of the official position of ASBLP GROUP OF COMPANIES AND BANK OF ASBLP. 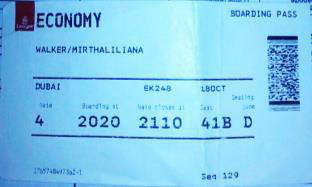 20) PROOF OF TRIP TO THE PHILIPPINES OF MIRTHA LILIANA WALKER INCOME AND EXCESS TO THE REPUBLIC OF THE PHILIPPINES, MANILA, AIRPORT NINOY AQUINO INTERNATIONAL AIRPORT. 21) PROOF OF LIFE BY MIRTHA LILIANA WALKER IN THE REPUBLIC OF THE PHILIPPINES. 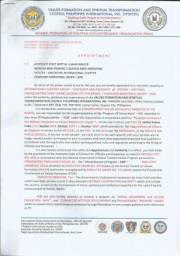 b) Accreditation and scope of authorization. 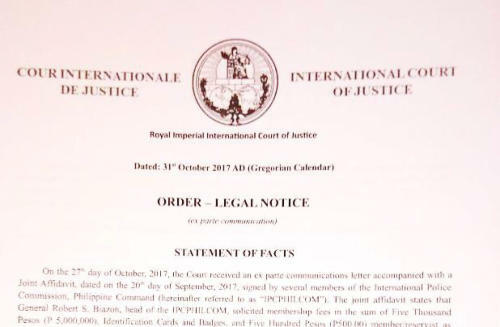 g) ORDER OF LEGAL COMMUNICATION OF THE INTERNATIONAL CRIMINAL COURT AND INTERNATIONAL COURT OF JUSTICE. 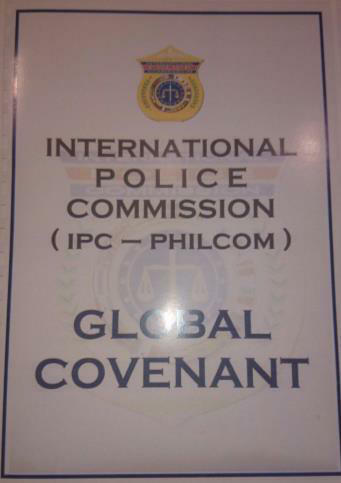 i) REGISTRATION UN IPC-PHILCOM PH, INC.
j) BILATERAL TREATY OF COOPERATION BETWEEN ICDRHRP IGO INTERNATIONAL COMMISSION OF DIPLOMATIC RELATIONS OF HUMAN RIGHTS AND PEACE (ICO). 23) LETTERS DOCUMENTS ISSUED TO THE BANKS WITH THE FOLLOWING TEXT: Ref: Statements of Accounts, Official Assignment, Way of communication. In my capacity as Authorized of the ASBLP Group of Companies and Bank of ASBLP, we request you to provide within 72 working hours the status of the funds, balances and / or assets in your associated state of Account no. 77712456-AM01 - Account Name: White Spiritual Boy; and Account no. 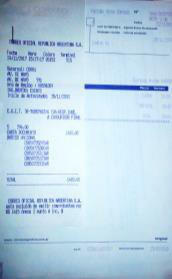 77762534AM-35 - Account Name: Spiritual Wonder Boy, and a senior Bank official assigned to interact directly. Communication channel via email: mlw.asblp@protonmail.com. You are notified. 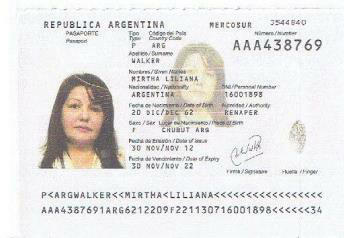 Cordially - Mirtha Liliana Walker - Passport No. 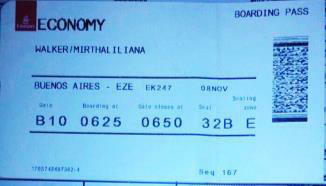 : AAA438769 -D.N.I. : 16001898 Originals in body of this file. 1. Whoever in the World Bank, United Nations, Committee of 300, or all three of them; structured this criminal operation must have been a former inmate or Wormwood Scrubs prison or Long Lartin Prison because the mentality behind this is something that, without question, does not belong in any genuine organisation. That is not to say that the World Bank, United Nations, or Committee of 300 or genuine. They are in fact some of the biggest criminal organisations in the world and a far greater threat to mankind that the Mafioso. 2. It certainly appears that Anthony Santiago Martin, the fake ones, have all disappeared and are no longer required and are now either surplus to requirements, or, past their sell by date. 3. It also appears that Five Star Trust (Marion Horn) is also surplus to requirements. Perhaps we will see in the main stream press that a "former Top CIA officer (Marion Horn) was found dead with head wounds that police suspect were inflicted by a Gun or other blunt weapon. Police state that there are no suspicious circumstances in the death of Mr Horn and are treating it as suicide." 4. 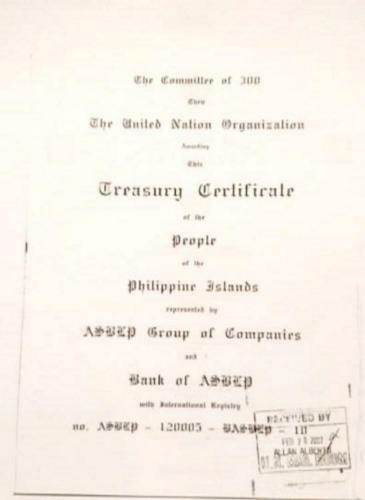 Ferdinand Marcos established the ASBLP Group of Companies and the ASBLP Bank, mainly to hold the accounts known as Spiritual Wonder Boy, White Spiritual Boy, Falcon, King David, Sunflower, Crystal Maria, Adopt Boy, Absalom, and other accounts whose account names have never been released publicly, so that is how it will remain for the time being. 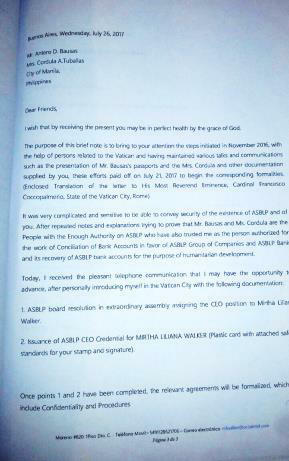 There was one person who knew all there was to know regarding this ASBLP Group of Companies and Bank, who carried the Code Name of Anthony Santiago Martin. Highly trusted by Ferdinand Marcos, but now deceased. 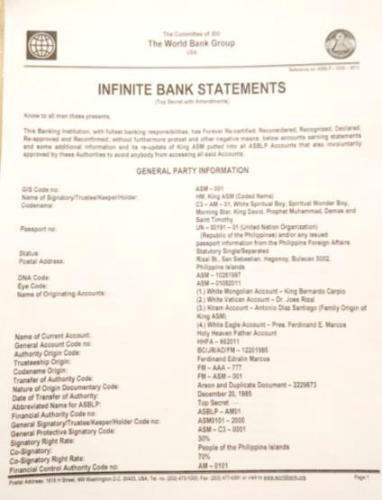 This Bank was to be responsible for the issuance of the new ASBLP Gold Backed Philippine Currency. This currency was actually printed and ready to go into circulation. It never got to the circulation stage whereby with involvement of the CIA, it was stopped / blocked, never to see the light of day anymore. The currency is now stored in a depository. The Gold Bullion Backing this currency was declared unencumbered so that it could be utilised for other purposes. Those other purposes turned out to be, and are known to be, theft by America, World Bank, United Nations, Committee of 300. I will now proceed to analyse the documents above. A) . 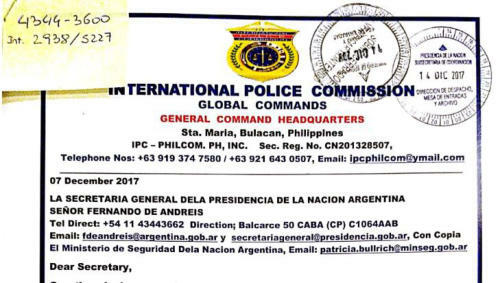 Take a look at the documents under d) IPC CARDS ACCREDITATION OF MIRTHA LILIANA WALKER issued by The International Police Commission, Global Commands. 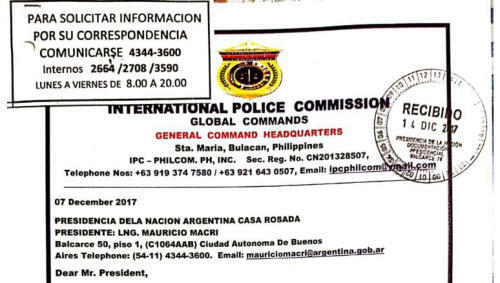 The Address is stated as Santa Maria, Bulacan, Philippines. 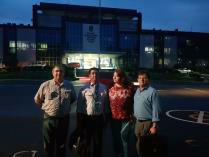 Our people in the Philippines know of the Police Station in Santa Maria, Bulacan. It is a two story 3/4 bedroomed house in the centre of the town where the Police occupy the ground floor, with another entity (Not connected to the Police (occupying the upper floor). There has been in the last 3 - 4 years some extensions to the Police Station in the form of 8 shipping containers converted into offices on the right hand side of the actual police station building. Santa Maria is a small town with several Barangay (Villages) in close proximity. The police there are known by our people, and the locals as being totally corrupt, which actually showed up in the "Duterte Drug Wars". Drug Pushers who paid bribes to the police, were never arrested. Drug pushers who could pay bribes were arrested and held in custody until they paid. Drug pushers who could never pay were killed "quoting -- resisting arrest"
Malolos, Bulacan is the Headquarters of District 3 Police, which includes Santa Maria. Therefore if any documents had to be issued at all by the police it should have been undertaken at the Police Headquarters in Malolos. 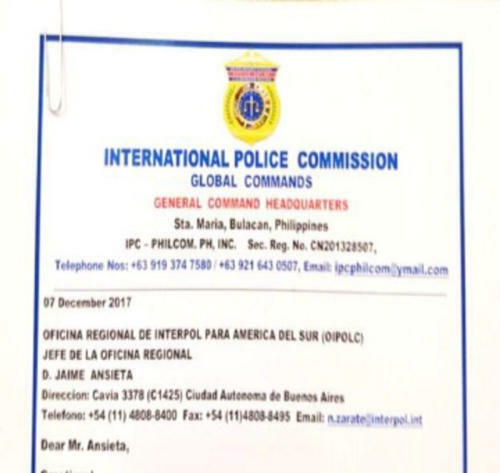 Even then, and bearing in mind the documents are headed "International Police Commission", the responsible police authority would be at Camp Crame, Quezon City, Philippines, which is where Interpol Police Headquarters reside. B) . 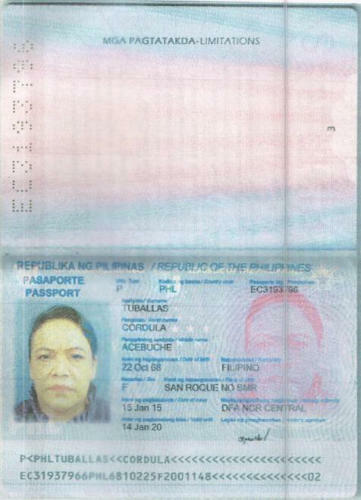 Why are there so many verification, confirmation documents required by, or provided by this person known as Mirtha Liliana Walker -from Argentina, or Filipino Antonio De Leon Bausas, or, Cordula Acebushe Tuballas. What are they trying to prove and who are they trying to prove this to. Totally unnecessary, if one is genuine to start with. 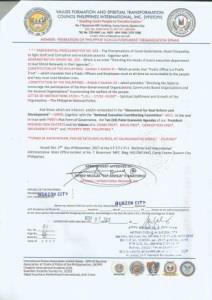 One simple verification request through the UN or even the World Bank Offices in Manila, Philippines should be more than sufficient, after all the UN and the World Bank are deeply involved in the fraud so they cannot deny a verification if requested. They would look very foolish if they did deny a verification request, wouldn't they. C) . 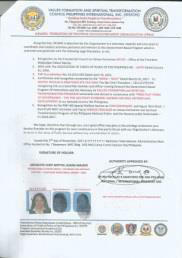 Notice how most of the documents show only the top or bottom sections of these claimed official documents. The middle sections are missing completely. Fortunately, we hold either the originals or certified copies of the originals on our records, whereby I can clearly state that if the middle sections of these documents were displayed, or the documents themselves displayed in full, the claims made by these criminals would be totally debunked because the content of the middle sections of most of these documents actually contradict the claims made by these criminals, or, have absolutely nothing to do with the appointment of this person known as Mirtha Liliana Walker. Do these people honestly think that everyone, other than themselves, are stupid and naive. In fact if one looks carefully at all of this, it becomes plainly obvious that it is a fraudulent set up. The question I am asking myself is why all of this was necessary in the first place because in 2015 it was confirmed that Five Star Trust (Marion Horn) was in sole charge of these stated accounts which had been transferred to Five Star Trust in 2012, from Anthony Santiago Martin whichever fake ASM that might be. 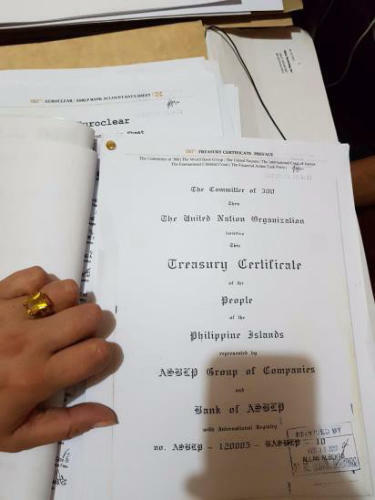 D) Notice within the documents above headed "PHILIPPINE TRUST IDENTIFICATIONS of ASBLP Group of Companies and Bank of ASBLP: Trustee", how the United Nations Organisation issued what they refer to as UN Certificate Diplomatic Passports to Filipinos Antonio De Leon Bausas, or, Cordula Acebushe Tuballas. The question here is, "Are they Diplomatic Passports or Not". In accordance with the specifications laid down by the IEAE, there are specific requirements regarding all Diplomatic Passports. 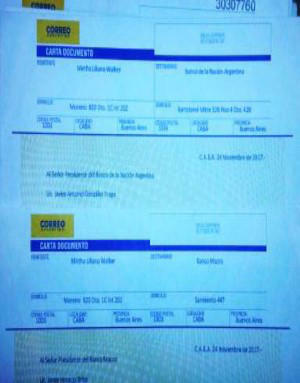 These UN Certificate Diplomatic Passports are nothing more than a piece of paper, similar to that which I exposed in an article earlier this year (5th August 2018) which contained the passports copies of Two (2) different Anthony Santiago Martins and One (1) Certificate Diplomatic Passport for one of the fake Anthony Santiago Martin. E) . Notice under Section 3 how they just copy and paste the words / title, "Last Will and Testament" but they do not copy all the pages of the LWT, which is by the way, the official LWT of Ferdinand Marcos, not his personal LWT. 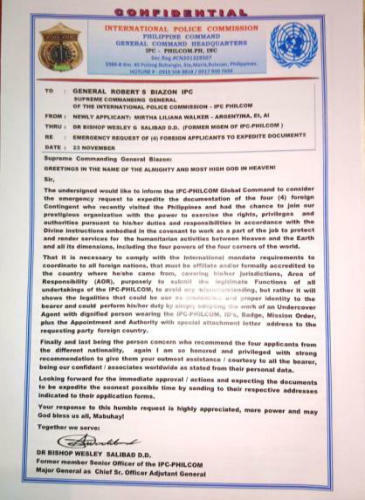 They obviously don't want people to know the content of this LWT, which we hold on official record, whereby the Official document carries the UN stamp / seal, which is actually one of the documents they have attempted to use in very short form (Heading only) to justify themselves and their criminal activities, when in fact the content of the LWT would clearly debunk the whole criminal charade these people are attempting to perform. I could say the same about almost all of the documents they appear to be using to justify themselves. A very poor attempt by very low rated individuals who once again are being used by the United Nations, World Bank, and Committee of 300 to do the dirty work for them. F) Notice under Section 5 and Section 6, it refers to Anthony Santiago Martin as HM, King. This another factor that these crooks have got wrong time and time again. There is no such person as HM, King Anthony Santiago Martin. The reference to HM, King in legal terms indicates a "Sovereign" either over a country and its people, or over a domain (Without Land or Subjects) and appointed by another Royal Family responsible for that domain. Even then the person appointed is usually known, and referred to as Viceroy, Lord, or His Excellency, never HM, King. 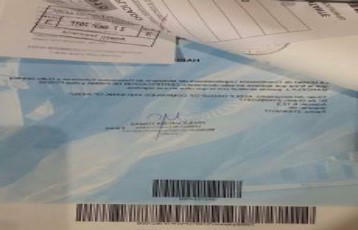 The Certificates of Diplomatic Passport issued by HM, King Anthony Santiago Martin are worthless bits of paper. 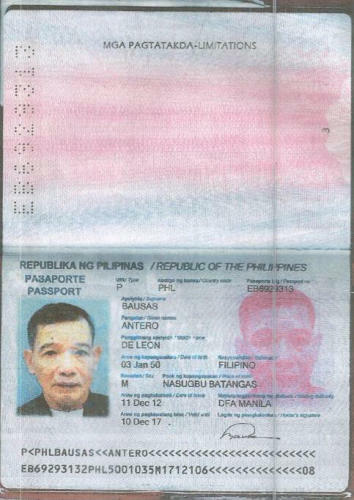 However, let's not forget that the United Nations also issued the very same persons --- Antonio De Leon Bausas, and, Cordula Acebushe Tuballas with UN Certificate Diplomatic Passports. 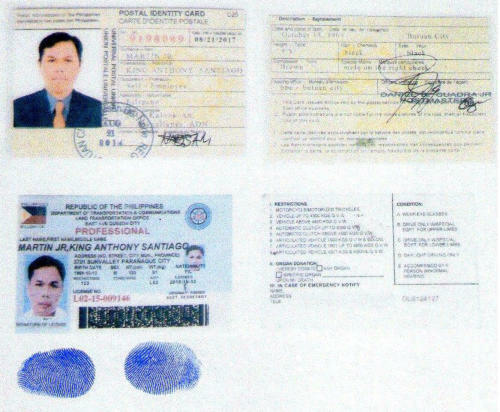 As Anthony Santiago was a Code Name it cannot possibly issue Diplomatic Passports or status to anyone. It, the Code Name is not a "Sovereign" so it means absolutely nothing at all and holds no legitimacy at all. 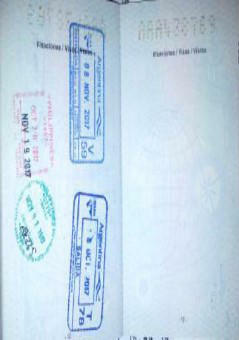 As for the United Nations, they should know better and should know the legal requirements for Diplomatic Passports. Obviously they don't so I have to ask as to why billions of Taxpayers money throughout the world is paid to the United Nations year in and year out, when they have such idiots working for them. What an absolute waste of public funds. I won't go on and on with this subject because it is all the same old story of totally careless structuring, illegality, fraud, theft, by the very structures / organisations and their employees, who should actually be working for the people of this world, and the countries that are members of the United Nations. There again, we have possibly all seen the reports about UN Peace Keepers using their time to frequent Prostitutes, or UN Humanitarian Aid being used by those in charge of such matters to bribe children and adult females into sexual practices in places like the western countries of Africa, or the middle east where wars exist. Of course some will succumb because they and their families are hungry, probably cold, very distressed, void of any dignity, living in fear, or living in refugee camps, but there is no bloody need to use your position or the food, or humanitarian aid you are supposed to be administering, as a threat towards these people. It's help they need, not threats or abuse by mentally sick predators working for the United Nations. While the people are wanting, the United Nations, World Bank, Committee of 300, are ignoring them and looking after their own financial well being. I could pull kids or young adults from their education who would do a far better job, at far lesser costs, and in a far more compassionate manner than the sick and greedy predators engaged by the United Nations, World Bank, and Committee of 300. I have been made aware / advised today (28th Nov) by a very reputable person, that Karen Hudes, who claims she is:- Karen Hudes. 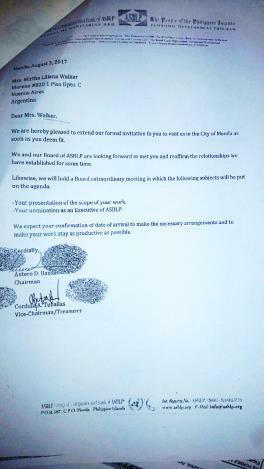 Acting General Counsel, International Bank for Reeconstruction and Development, Overseer Mandate Trustee, Global Debt Facility, TVM-LSM-666; is involved in this scan in one way or another, whereby emails written by Karen Hudes have been provided to me as evidence. 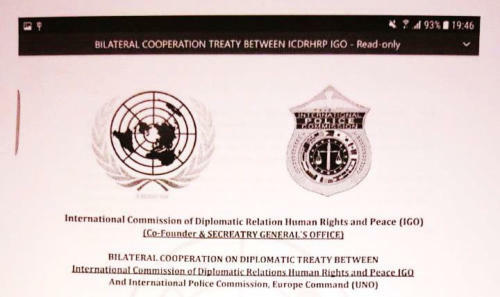 However, I consider that the evidence needs further investigation to determine their legitimacy and authenticity, because if genuine it is further evidence we hold against the UN and World Bank reference to their long standing and continuous fraud, theft and deliberately orchestrating imposters for the purpose of theft and fraud against the GDF. 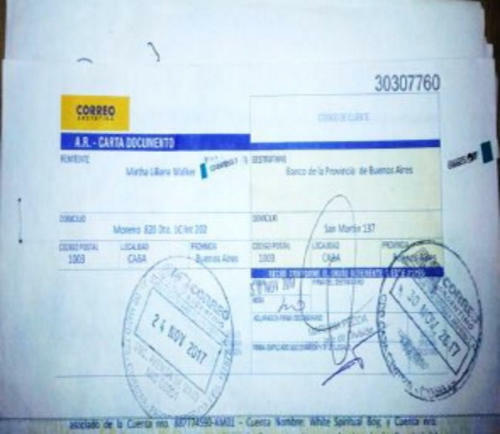 We are all aware, or should be, that Karen Hudes is covertly acting for the World Bank in conjunction with the person the World Bank set up, as an imposter, of Tubercio Vilamor Marcos. 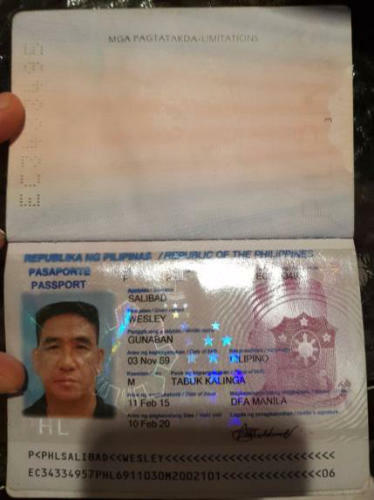 We also confirm that the real Tubercio Vilamor Marcos, who is working with us, is a very old man and still alive, living outside of the Philippines in a secure safe house. The various and multiple documents on this we have in our possession. They are not with Karen Hudes or the World Bank, nor will they ever will be. A final Note: Any Reader who needs to view or study the documents herein should be able to click on the document / photos, Copy them and then Paste them into a blank Word.doc document. Then click on the pasted document and enlarge it by using the Frame Marks top, bottom sand sides. If you enlarge the document too much it will become "Blurred" so you may find you have to use something like ACDsee or Adobe Acrobat or similar to enlarge the document without any blurring.